Ever since I was a little girl, who read "Black Beauty", I longed to have a horse. I still have a plastic "Black Beauty" horse neatly tucked in a box, that I used to play with and pretend it was real. At the age of 24, I got my first horse. I finally got one, then another and then Savannah Sue came into my life, at her tender age of one. I loved all of my horses, but Savvy has a special place in my heart. When my son was born, I had fantasies of him riding her in horse shows. I used to clean her stall, with B tucked into his stroller in the breezeway... he'd watch in fascination but he never really bonded with wanting to be an equestrian. Because of my divorce from B's dad, I lost our horse property. Long story short, boarding her was a financial burden for me, but I loved this horse. Working two jobs, I managed to support myself, my son and provided my horse with the quality of life that this loyal horse deserved. 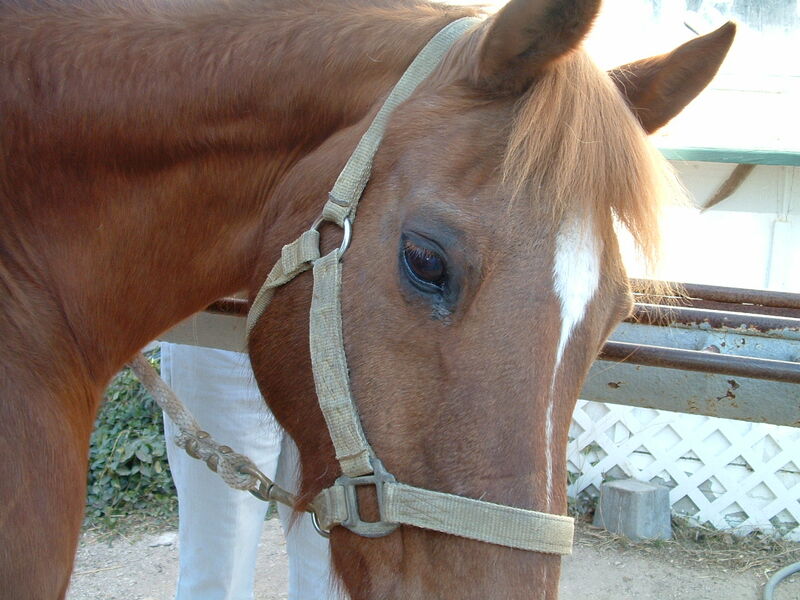 She had earned her share of trophies and ribbons, as a stock horse and she was an excellent trail horse. I could not bear to sell her, for fear she would not be treated with the kindness she deserved. I had moved her 120 miles away, two years ago, on a friend's ranch. The board was affordable and I wanted her to finish her years in retirement. Her saddle was put away, as she had earned her miles as a trail horse. She was retired. Fast forwarding past all my sentimental thoughts-- I had a deep longing in my heart to bring Savannah home. The Lord made it all happen, with the right ranch, the right price and 10 miles from my house. Savvy came home on May 31st of this year. I could finally go see her on a daily basis, brush her, bring her carrots and appreciate the magnificent beauty of an Arabian horse. I took this shot of her about 2 weeks ago, on a windy afternoon. I noticed how wrinkled her muzzle was, and that her lip had become loser. Savvy had finally grown old. She was 27 years old. I owned her for almost half of my life. Just this last Saturday, June 29th, Savvy colicked so severely that I had to put her down. While a part of me knew her days were numbered, I was dreading this moment. She is buried on the ranch where I moved her just three weeks ago. Writing this today, I'm finally able to share about her without crying. I cried for two days. I'm sharing this with all of you, because of my grief. I wanted to blog sooner, but was unable to. Now, I can. My son shares my sorrow, because he knew her all of his life. He rode her a few times, but he much preferred skate boarding. Thanks for reading this. I just wanted to share her with you. She is still in my daily thoughts, and always will be. I was there (with my husband) to help her take her last breath, and to slowly lay down that 900 pound body into a peaceful sleep. It made us both realize how life can so quickly slip away. I am reminded to love and appreciate those who are around me, because we never know when our days on Earth are finished. I've never found anything in the bible that says where animals go, when they die. I cannot imagine that God's creatures can leave such a profound impact in our hearts and lives, that we will never see them again. It is my deepest hope that when I pass from this life, that Savannah will be on the "other side", waiting to carry me home to my Heavenly Father's promised home for me. I long to be free of the arthritis that prevented me from climbing on to Savvy's back, one more time. How I long to feel her powerful legs running and carrying me, with the wind blowing in my hair. Horses are amazing creatures. She is the last horse I will ever own, though. She was the best of the best. I just had to write this, as it's also very healing for me. There's no smooth transition from talking about a horse to my son. So, how is he? I will not say that he's clean. How can I really know? Unless I have my son take a drug test, at a hospital, that is closely monitored and testing for every drug on the planet, I cannot say with 100% conviction that he is clean. He admitted that he started to chip, in May, when his methadone dose was cut way back. He's on 40mg of methadone now. I am reading about methadone, and I'm sad to say that my son is dependent on it. I had a fear this would happen, but I just kept hoping that it wouldn't. My son says he needs methadone to help him feel "normal". What a classic question this is-- what is really normal? My husband accepts my son's honest answer. He was withdrawing and feeling sick. He couldn't find methadone on the street, so he bought heroin. He says he stretched it out, smoking just enough to feel "normal" so he could work. He's working two jobs, seven days a week. We didn't throw him out, but we altered the rules a bit. He's week-by-week staying with us. My son's relapse is a reminder how fragile sobriety can be. I just looked at the time, and I need to go. I debated deleting about my horse, but I'm leaving it. I hope I didn't bore anyone, and I'm not asking for sympathy. I've had so much support from people. I wrote a more extensive eulogy for her on my other food blog. The outpouring of love was so comforting. I'm better now, and I'm healing with my grief. Seeing her photos and writing about her makes me feel a sense of gratitude. I'll miss her "horse medicine", though. 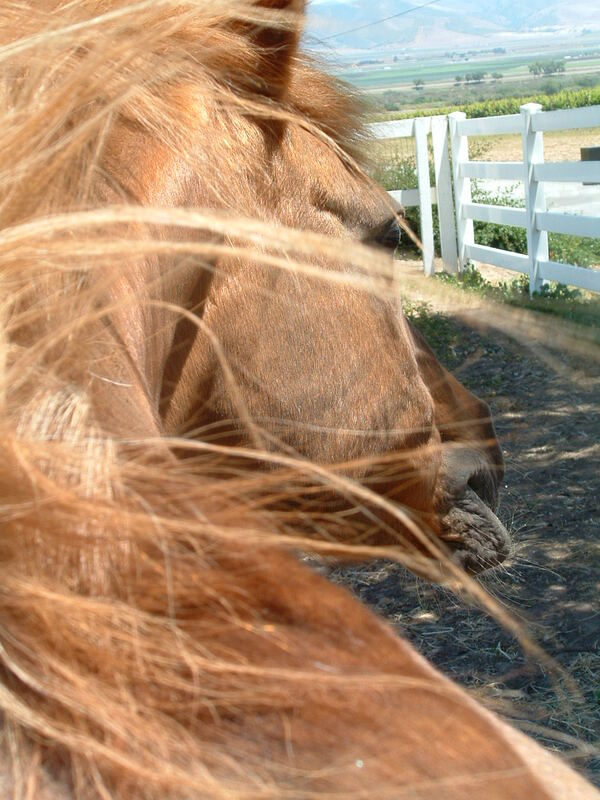 Sometimes, when I felt angry or hurting, I'd go to her barn and hug her and talk to her. She was a good listener. The pain is easing. I'll try to share more on my thoughts of methadone when I blog tomorrow. I'm on vacation. I loved you from the moment I knew I would become a mom. The stretch marks, the flabby stomach , the pain of childbirth, and sleepless nights was so worth having you as my precious Baby Boy. I have never lost that feeling for you, my son—even when you first began to show the signs of trying to break free of “Mommy”. The middle school years were some of my toughest, and I admit that there were times when I struggled to like being around you. Our battle of the wills led to some rough times—a lot of my own tears, anger and frustration. I wondered how I could handle the financial challenges in supporting the two of us, on my own meager salary. By the Grace of God, we made it. Amen. My precious boy, with that innocent heart and who couldn’t bear to be away from my protective arms had grown up—and had become addicted to opiates. A new world opened up to me, and it’s a very dark one. I think the hardest thing that the mother of a drug addict has to do is to balance our unconditional love for you, while having to break our heart’s desire to protect you in all things. We find ourselves having to learni two words that were alien to us—“codependency” and “enabling”. Being the mother of a drug addict is a pain worse than childbirth, in my honest opinion. I love you, son, so much that sometimes my heart feels as though it will burst with strength of it all. When I find out that you have lied to me, the pain cuts very deep. I have always been there for you, always wanted to support, protect and nurture you… so I struggle with how the power of your addiction overrules being untruthful to me. I know that the power of the drugs can take over what you know is wrong and right. Still, I count my blessings that you are my son. My heart breaks for the moms who cannot physically hold or touch their child—because they are either incarcerated or they have died of an overdose. I have so much hope in you, son! I see so much potential in you. I only wish you could see that in yourself. I pray, every single day, that you will find true joy in your life. I’m not talking the joy of suddenly coming into some money to buy something you’ve always wanted. I’m talking about joy that stays within you, even in the midst of trouble. How I wish that you could experience that! My words sound too cornball for you, at this time. One day, I hope you receive them and understand. I have come to accept that your life has been irreversibly changed, because there is no cure for addiction. My hope comes from my faith in God and fervent prayer that you will find the strength and courage it takes to resist the temptation to use. You will always be tempted, for the rest of your life. That breaks my heart even more. Relapse is a word that scares me to no end, my son. It means that you failed to resist the overpowering need to use. Will the rest of your life be spent needing a synthetic opiate to keep you from using? I pray not. I see the fear in you at the thought of withdrawals. I cannot understand it, because I’ve never experienced it. I keep praying that you will make it through some rough times to get past the withdrawals—and that you will have someone in your life that you can trust to help you get through the times that you will want to use. Medication isn’t the only way, and how I long for you to be free of that! While I cannot understand what if feels like to have an overwhelming need to use—you cannot understand my own feeling of disappointment…despair…sadness…fear… that comes from being the mother of a drug addict. I can forgive you for the relapse. but I cannot forgive the powers of addiction. How I long for you to find true joy in your heart. How I long for you to want to enjoy your life, and to have a foundation that will hold you up when times are tough. Look up to God in heaven. He sees you. He knows your heart. He grieves along with me. He loves you more than you love yourself. He has a plan and purpose for you, but you will never know what it is if you try to make that journey all by yourself. Walk with Jesus, my son, and let go of the hands of the Dark One that you are holding. No matter what you’ve lied about, or mistakes you’ve made, I love you so much. Hurtful things you say to me do just that—but it never stops the abundant love I have for you! I wait…I pray… I hope… that you will desire to know God so that He will fill that void in your life with His love. I am married to a remarkable man. C has borrowed one of my own Golden Rules that I've practiced for several years. That is, I have a 24-hour rule that I practice when I am feeling angry, upset or afraid. I do this, to avoid knee jerk reactions. It works quite well, actually. Many times, I find that I come up with a solution... a compromise... or just peace. That, I believe, is the voice of God answering my prayers. This morning, I noticed that my husband seemed distant. "I need 24 hours", he responded. It wasn't me at all. C had found my missing kitchen paring knife and a foil. The knife had residue on it. He didn't know how to tell me, he said-- or if he even wanted to tell me. Tonight, I asked him to talk to me. I was not expecting to see the drug paraphernalia. I was devastated. I got that tight and sick feeling in the pit of my stomach. I could feel bile. I could feel tears welling way in the back of my eyes, but never quite spilling out. You know what I'm talking about, parents of addicts, don't you? Then I felt I wasn't alone. YOU understand. YOU know what it's like. B came home and he began with an explanation. My amazing husband looked right at him and said, "that doesn't add up. Tell us the truth". I could see my son's throat swallowing hard. His eyes were downcast. He stuttered. He hesitated. His eyes welled up for a brief moment. He admitted, to us, he'd been chipping. My non-Christian, immediate gut reaction was "how in the hell is that possible?!" But, I didn't say it. I only thought it. He says that in May, the tapering down of methadone began. He was only on 28mg a day and was down to 8 mg. He was feeling lousy. Remember that we live in California, and methadone laws vary by state. B says that there are laws on not being able to just jump the dose up. He couldn't take the withdrawals, he says. 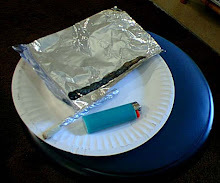 So, be bought a bag, and stretched it out....that is, he didn't smoke it all at once. He says he's been doing it just the last two weeks, and not a whole lot. He said he couldn't afford it. He was buying methadone, off the street, but that cost more than heroin. He swears that's true. If he couldn't find pills, he bought "black". I believe that part. He is now up to 40mg of methadone and he plans to stay on it for at least six more months. He says his counselor knows he used and that they are proud of him going back on methadone. His father will help pay half the $450.00 a month and B plans to pay the other. So, where do we go from here? I have to say that I am amazed at how calm my husband was. He told my son that we would have respected his honesty with us-- that he should have told us how sick he felt and that he needed help. But, I understand why my son didn't. I get it. I've talked to enough addicts who say that's the last thing they can do. I should make my son leave. Now. It's what we agreed on. So, here I am in the same situation as Barbara and her son Keven. Or Ron and his son Alex. Did my son "f" up this once? Do I give him another chance? Has he stolen from us? No. He is working two jobs. He is paying rent to us. So, I need my 24-hours. I need to pray. As of late, I haven't done my ASAP yet. That is "Always Say A Prayer". Me, the God loving, Jesus following Christian. I've been spiritually paralyzed for too many weeks. I think I've become overwhelmed with stress from work, my son, his health, his dental work that is costing me a fortune. Instead of running to the throne, I've been running to the kitchen. I've been eating and I don't feel good about my weight nor how I feel overall. I need to go back to God's throne. Just this morning, I was talking to God as I drove to work. I was telling Him that I am so distracted, and I feel as though I'm heading into some sort of depression. That's not me, typically. I also know these thoughts are not coming from Heaven. I feel as though I am under spiritual attack. So, how am I feeling at this very moment? Sad. Disappointed. I told my son that my concern is what is his Plan B when he comes off methadone-- whether it's due to lack of funds or the end of his program? What will he do when the temptation comes to use? It will come. It's guaranteed. How will he find support when he has an overwhelming urge to use. Oh. One more thing. He bought the heroin from someone at the methadone clinic-- a patient. The very woman who used to deal to him but cut him off. How I pray that woman will be busted. But that's only scratching the surface. My son will always be a drug addict-- until the day he dies. What he can be is a drug addict, who is clean and sober-- and who has a support system and sponsor that he can go to when he feels the need to use. If anything-- I ask that prayers for my family would be for Wisdom. 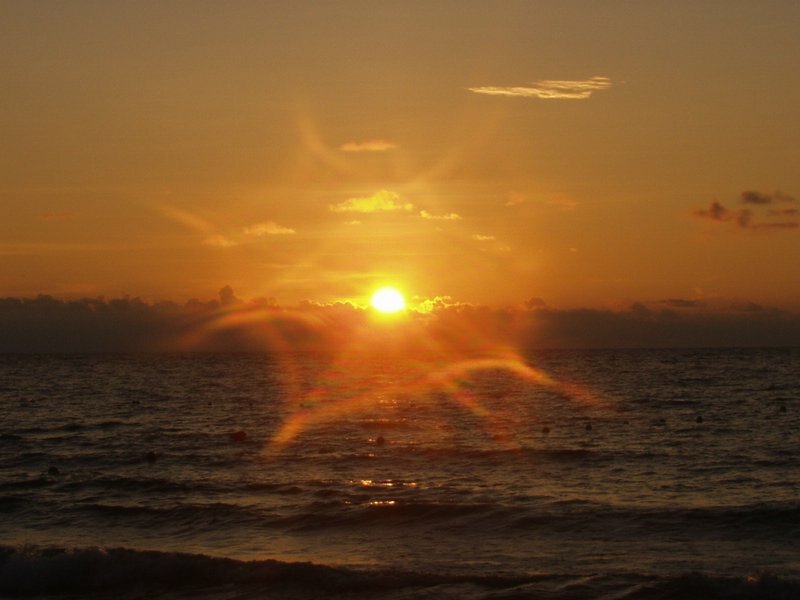 We shall see what the Dawn of Morning brings. May God give me wisdom in my sleep tonight. I pray that I will be given restful sleep and clarity in the morning. Thank you for your support and comments. I can feel the love and support. Honestly, I pray for and think of so many of you-- Ron (Mom & Dad), Barbara, Cheri... many more of you. I was just saying prayers of thanks, this morning, for my son's six months of sobriety. That's definitely debatable, because some people believe that if you are using methadone then you are not sober. As far as I am concerned, my son is not buying heroin. He's using methadone at a clinic that has a good reputation for dispensing this, in liquid form, and adhering to the state of California's very strict guidelines. Work has been rough for me, so I came home and promptly fell asleep. I awoke, hearing my son puking his guts out in his bathroom. B was supposed to taper off methadone this month. However, he talked to the clinic director, and they have mutually decided to postpone this decision. B was feeling ill, and he's not ready. B ran out of gas, today, so his missed his appointment to meet with the doctor (at the methadone clinic). They were going to bump up his dose a bit and then come up with a new plan. It broke my heart, to see him this way. I hate that poison that's in his body. I am reminded of my son's days of withdrawals, he was so sick. Basically, he was in withdrawals today-- not horrible. B will be at the clinic at 6:00am, but he's not feeling well tonight. So, last weekend, B went into town for an errand. He was supposed to return with something for me. He never did. I was not happy. I called him a few times. No answer. Finally, he called me and I picked up the phone and said "this better be good". It turns out my son got pulled over by the police. There had been a robbery and his car (my former car that I gave to him) matched the description. B said the police had the loudspeaker going and all... handcuffed him and threw him in the back of the police car. They had the drug dogs, too. B told them to search the car, because he was innocent. They tore the car up and found nothing. Finally, they got a radio call that the robber had been caught, they apologized to my son and let him go. All I can say is, that this validates my son isn't using. There wasn't a foil to be found. B was furious at the way he was treated. He was smart enough to ask the cop to give him a business card and to write down the time, to show his boss. That cleared him for being late to work. My son has more drama in his life! B just bought some methadone from a friend. I don't like it, but I understand that he would have a tough night trying to get through this. B said he had to do it, otherwise he might be tempted to use. Frickin' poison. How I pray that my son will finally be able to purge that crap out of his body. Synthetic opiate or not, how I long for my son to be free of drugs of any kind. I can only watch, and feel sorrow for what he's going through. He's trying so hard, and I have to say that he's been great ever since we allowed him to move home six weeks ago. He's working two jobs. He's paying us rent (savings). For that, I am thankful. Off to sleep. I hope my son's vomiting stops. This is not good for a diabetic. I miss many of you. I know I've been scarce. I just had to blog about this. I'm thankful my son will extend his methadone use, for now. I can't believe I'm saying that, but his body isn't ready yet. A letter from a 17 year old girl, seeking advice - will you help? How Is My Son Doing? Wonderful! Thank you, Obama Care for his sobriety! Waiting to exhale-- loving the word "clean"
My blog is listed in the Top 100 Blogs in overcoming addiction. Will this help my son to stay clean? 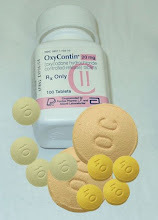 Please read this highly informative website about oxycontin. Oxycontin kills. Each day, as I search to understand the drug that my son is addicted to, I count my blessings that my son is still alive. If you are reading this blog for the first time.. Please read my very first blog, dated April 13, 2008. It is titled "How did I get to be here"? It is written from my heart, and it is the middle part of my story. There is a beginning, that I will start to blog in bits and pieces--and when I am ready to share it. There is also an end-- and that is yet to come. The story is still unfolding. I can only pray that it will all be a happy ending for my son, whom I love so much. This blog has been created for me to find healing and a way to release the abundance of tears that I have yet to cry. Grab A Button, and please share my blog with others! Because they have a good reward for their labor. 10 For if they fall, one will lift up his companion. For he has no one to help him up. But how can one be warm alone? 12 Though one may be overpowered by another, two can withstand him. And a threefold cord is not quickly broken. 1. Realize I’m not God; I admit that I am powerless to control my tendency to do the wrong thing and my life is unmanageable. 2. Earnestly believe that God exists, that I matter to Him, and that He has the power to help me recover. 3. Consciously choose to commit all my life and will to Christ’s care and control. 4. Openly examine and confess my faults to God, to myself and to another person whom I trust. 5. Voluntarily submit to any and all changes God wants to make in my life. 6. Evaluate all my relationships, offer forgiveness to those who have hurt me and make amends for harm I’ve done to others when possible, except when doing so would harm them or others. 7. Reserve a daily time with God for self-examination, Bible reading, and prayer in order to know God and His work for my life and gain the power to follow His will. 8. Yield myself to be used by God to bring this good news to others, both by my example and by my words.